I've always loved rainbows. There's something eternally HAPPY about them. Growing up at the foot of the Rockies, I have vivid memories of rainbows set in front of a mountainous background - and most always a double rainbow (what DOES it mean?!?). It is definitely a gorgeous site to behold. 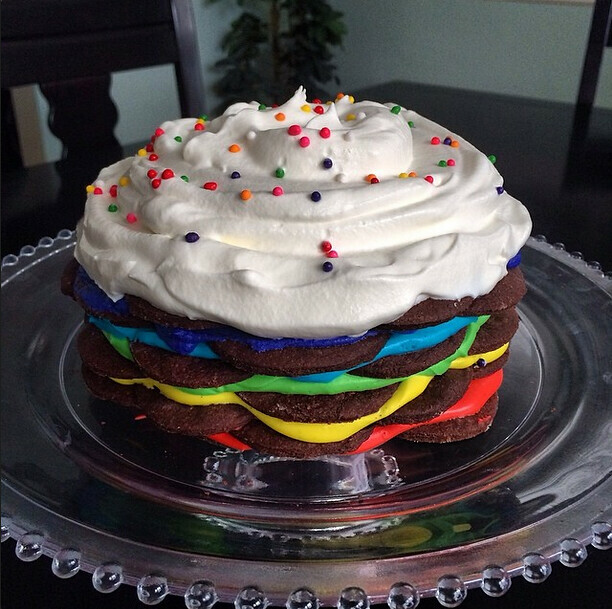 I used Americolor gel paste to tint my rainbow whipped cream - a little gel goes a long way, and as you can see in the photo, the colors really "pop" in between the layers of chocolate cookies. The recipe recommends letting the cake sit for 30 minutes, but I found I liked it better the next day. The cookies are firm and crunchy, and a day in the fridge surrounded by all that yummy whipped cream allows them to soften up a little, which in turn makes the cake much easier to slice. Please go see what my other fellow bakers thought of the Rainbow Icebox Cake (aka "THE Gay Cake") as well as the different variations they came up with. 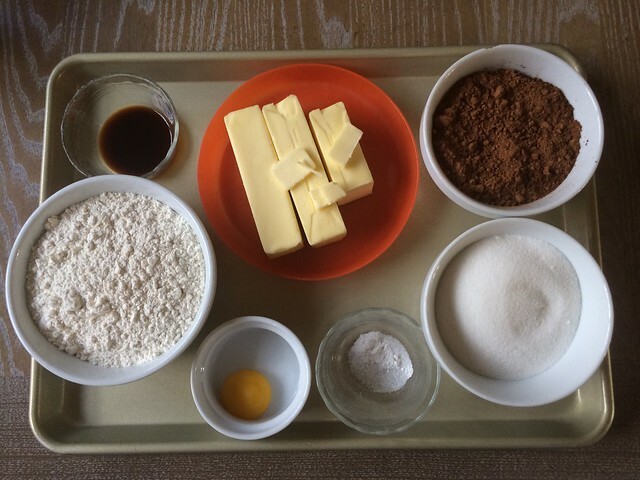 You could really be very adventurous with this recipe!